We are almost ready for the last John Eaton Auction in the building as we have known it! However, we are excited for the renovation! Please help us with this year's auction party and volunteer! 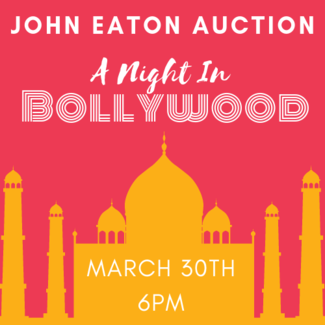 set up tables, linens ,decorations; MP transitions to Bollywood! I’ll arrive around 11am til about 3! Check In our Eaton families and friends!